Getting a TripAdvisor listing puts more eyes on a business. The site draws in over 730 million reviews and opinions and an average of 490 million monthly unique visitors across 8.1 million businesses. Creating a top-notch listing with great photos, updated information, and rave reviews helps your future customers see what stands out about your business’s locations. Creating a business profile is the first step in joining the TripAdvisor family. You’ll also need to sign up for TripAdvisor’s Management Center, which serves as your main hub whenever you need to manage the profile. There are two ways to get listed on TripAdvisor: you can either request a new listing or claim an already existing TripAdvisor page. Often, a location will already be on TripAdvisor because any reviewer can “initiates a listing” by writing a review of the business. You can check if the business is already listed on TripAdvisor by going to the Owners page and typing the business name in the search bar. If it appears in the drop-down listing then a listing was already created. Click on the business name and then click “Claim Your Business” button to confirm your affiliation with the listing and sign up for Management Center. The process for claiming Hotels/Accommodations, Restaurants, or Attractions are nearly identical. The main differences are the details required in the application. Your role at the business. Step 3. 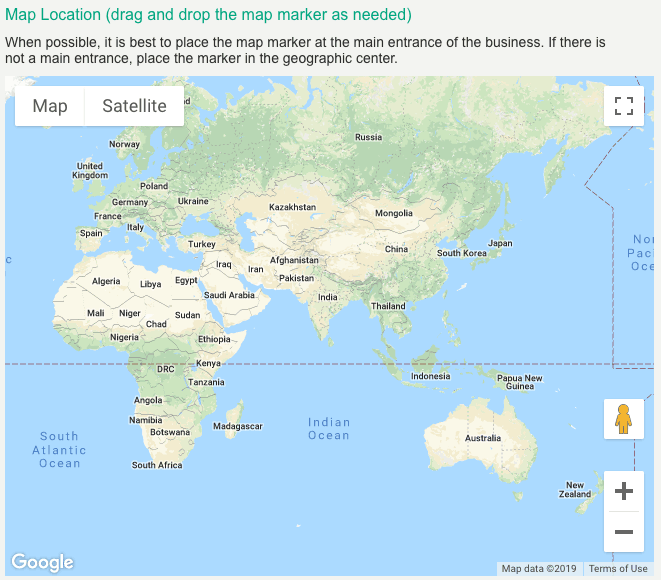 Pin the business’s location on a map. TripAdvisor recommends you drop the marker as close as possible to the entrance of the business. 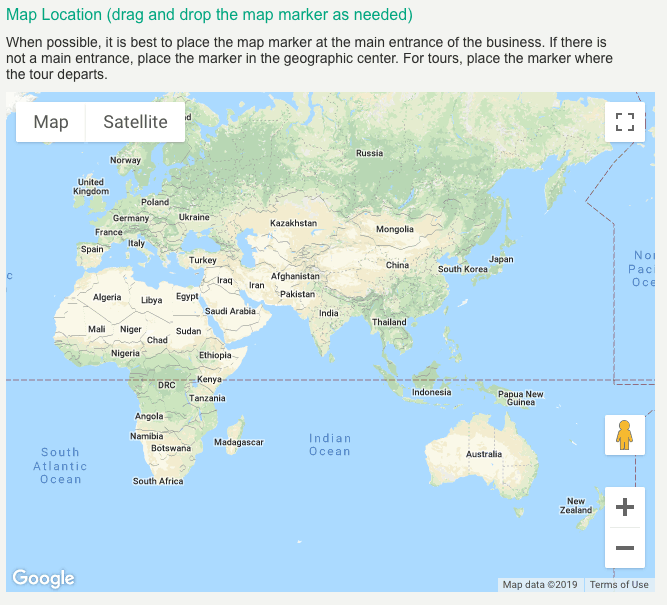 If it doesn’t have an entrance then you should drop the marker at its “geographic center.” Businesses that deal primarily in tours should drop the marker at the tour’s starting location. Step 4. Add the company’s website and phone number. TripAdvisor uses this information to verify the business information in the previous step so make sure that all of the information entered above is correct and up-to-date. Step 5. Enter your property details. This can differ depending on the business type, but TripAdvisor uses this information to ensure that the listing is categorized correctly and includes as much relevant information as possible. Step 6. Add a property description. This short entry should help users learn more about the business. It must be written in the local language, and it shouldn’t contain HTML code, contact information, or text in all caps. Step 7. Upload a photo. This image will be displayed on the listing and serves as the first impression for users. TripAdvisor guidelines state the photo should be in a .jpg or .gif file format and have a maximum file size of 100 kb. The image shouldn’t contain borders or logos. Step 8. Submit the application. Verify that you are a representative of the business by clicking on the box at the bottom of the form, and then click the “Submit” button to send the application. TripAdvisor editors will then verify the details and send you an email to confirm that the “property meets the guidelines for the business type” you selected at the beginning of the application. This part of the process takes about five business days to complete. TripAdvisor also accepts listings for “Vacation Homes,” which allows anyone to list their home as a place to stay for travelers. You can find out more information about claiming a Vacation Home listing on the TripAdvisor Rentals page. With a listing up and running it’s time to manage it efficiently with TripAdvisor’s Management Center. Signing up for Management Center requires you to claim a listing first. Once the listing is up, you can then return to the TripAdvisor Owners’ page and type in the business name in the search bar. Selecting the business from the search bar’s drop-down menu will take you to another page. Click on the “Register for this business” link. You will then have to fill out another registration form and click the “Sign up” button within it to finish the process. 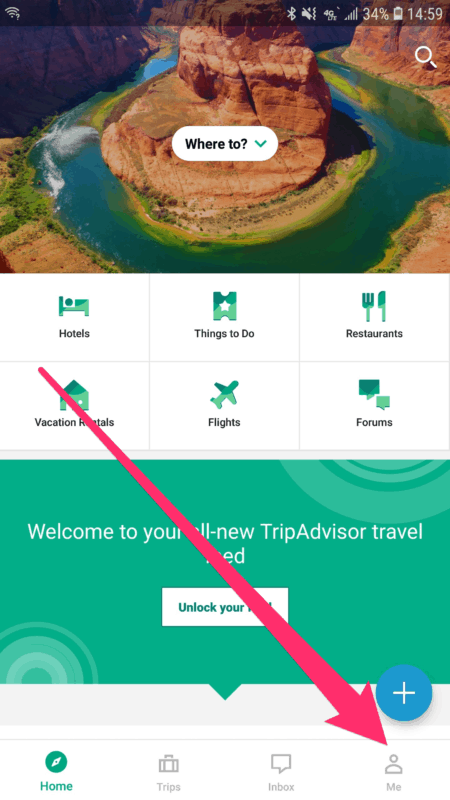 TripAdvisor will also need to verify your relationship (by phone or with a credit card) with the listed business before you get access to the Management Center. Those who opt for verification by phone will need to make sure that the number displayed on the verification page is for the business and not your personal phone number. If the phone number is incorrect, you can click the “Request Update” link at the bottom of the page and follow the instructions to update the number. If the number is correct then you can choose to have TripAdvisor send a verification code by calling the number or through SMS text messaging. 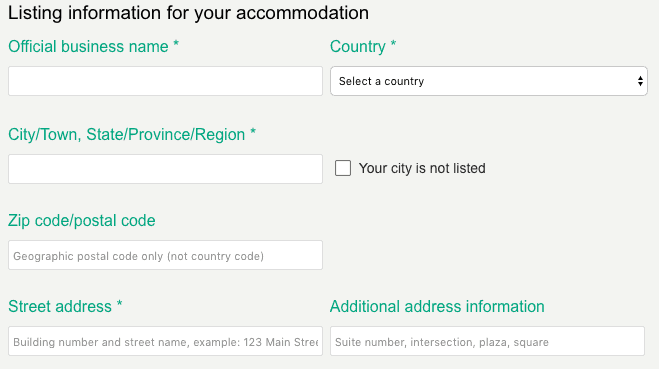 Enter the code sent by TripAdvisor into the empty text field on the verification page. There is a third verification option through email. However, there are some unknown qualifications set by TripAdvisor that allow you to verify your identity by email. If you do qualify for email verification you should see an option for it when you sign up for the Management Center. How Much Does It Cost For A Business Listing on TripAdvisor? There aren’t any costs associated with claiming a business listing on TripAdvisor. There are even some free tools that come with a listing, which you can find in the “Manage Listing,” “Review,” and “Marketing Tools” tabs within the Management Center. However, there are some additional tools for specific listing types that you’ll have to pay for. For instance, accommodation listings can subscribe to “Business Advantage” for more exposure or utilize “Instant Booking” and pay either 15 or 12 percent commission for bookings generated through their TripAdvisor listing. Restaurant listings can also subscribe to “TripAdvisor Premium” to better highlight their offerings or pay for “TripAdvisor Ads” for better listing exposure throughout the site. The easiest way to log in is by clicking on the “Join” link on the top-right of the TripAdvisor home page. Click on the “My Business” link. If you manage multiple listings, a list will appear. Click on the listing you want to manage from the list. Step 1. Go to the “Manage Listing” or “Profile” tab in the top menu and click on the “Name & Description” section within the menu. Step 2.Use the menu on the left-hand side of the page to edit each relevant section of the listing. Step 3. Hit “Submit” when you’re done. Photos and videos on a listing are a great way to stand out from the competition. The right content can attract customers to a business and highlight the food, drinks, and experiences you want your customers to try. The photo carousel, which is the photo section at the top of a listing. The media viewer, which people can find when they click on the “All Photos” button or an album on the right side of the photo carousel. The “Photos” section of a listing page. This is only available for accommodation listings. Step 1. Click on “Manage Photos” on the main menu. Step 2. Click the “Add More Photos” button on the top-right corner of the page. Step 3. Check the box to confirm that you are a representative of the business listing and have the rights to upload photos. Step 4. Click the “Upload” button to finish the process. Photos must have a maximum file size of 10 MB (15 MB for accommodation listings), and it must be in a .gif, .jpg, .bmp, or .png file format. In general, TripAdvisor says that landscape photos look better than portrait-oriented images so long as they are between an aspect ratio of 1:1 and 4:3. Currently, only Business Advantage subscribers have the ability to upload videos to their TripAdvisor listing. They can do so by going to the “Manage Listing” option at the top menu of the Management Center. From there, they can click on “Property Videos” where they can add, remove videos. Each video should not exceed 500 MB in file size and must be in .mp4, .mov, or .m4v format. The aspect ratio must also be optimized to 4:3. All in all, there are eight types of media content available for each listing. Sign in to Management Center and click on “Manage Photos” on the main menu. Choose a new primary photo from the available options. TripAdvisor recommends a landscape photo that is 1,200 pixels wide by 628 pixels tall that is not a photo montage and doesn’t include watermarks or text on it. After choosing a new image, click “Save” to finish the process. It will take between three to five days before you see the new primary photo appear on the listing. 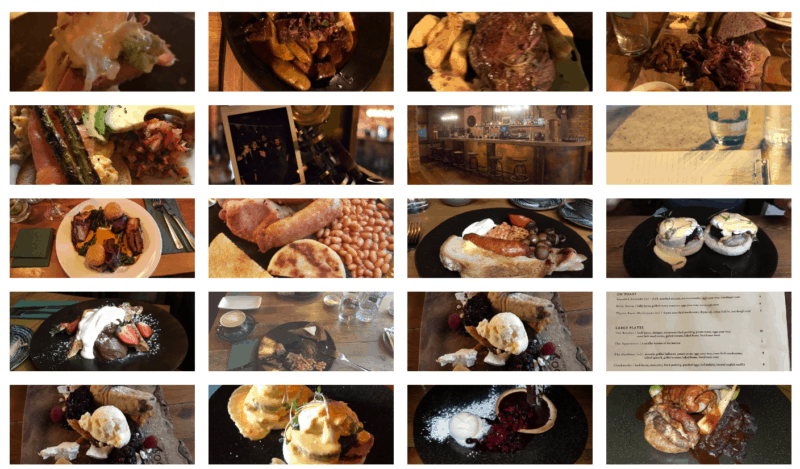 Management photos: These are images that you or another verified TripAdvisor in the business uploads to the listing. There is no limit to the number of uploaded management photos on a listing. Traveler photos: Images uploaded by TripAdvisor users. These are mixed in with management photos for restaurant and attractions listings. Those managing accommodations listings can organize these photos into categories based on their subject. Professional photos and panoramas: In some cases, TripAdvisor will have a photography team contact a business so that they can take professional pictures, which will appear as part of the listing’s photo carousel. However, it’s unclear as to how these businesses are picked by TripAdvisor. Favorite photos: Listings with Business Advantage subscriptions can use this feature to highlight specific images of a business. Favorite photos will appear in the photo carousel as well in a separate tab in the media viewer. Cover photos: This is another feature available to Business Advantage subscribers that allows them to pick specific photos as a cover for numerous albums on their listing. These will appear in the “Photos” section of a listing for better exposure to customers. Property videos: These are the main videos available to Business Advantage subscribers. They can supplement the collection of management photos with any video that shows off the business. Storyboard: Another media feature available only to Business Advantage and TripAdvisor Premium subscribers. This is a high-quality video that combines management photos, keyword tags (in multiple languages), and review snippets. Reviews are, arguably, the most important section of your TripAdvisor profile, and TripAdvisor is one of the most influential review sites: it’s the third most-checked review site by consumers and has the third-largest share of reviews. On a listing, a TripAdvisor user can see a business’s overall star rating, the total number of reviews, and its category ranking underneath the listing’s name. Clicking on any of these numbers will take you to the page’s review section where you can see a breakdown of all reviews by rating, traveler type, and even the time of year that they visited the business. If you’re looking for specific reviews you can filter reviews from a list of specific keywords or type another term in the text field. So what do you do with TripAdvisor reviews and how do you get more? Great question. Managing your TripAdvisor reputation can be difficult for any business, but there are a few things you can do to steer a business reputation in the right direction. In fact, TripAdvisor broke down the process into four simple steps. Influence the Conversation: Taking control of a business’s reputation starts by looking at reviews. Use positive reviews to highlight some of the establishment’s differentiating features, which will attract more customers. However, it’s also important to look at negative feedback to find areas of improvement. Set Realistic Expectations: Talk is cheap, which makes it easy to embellish a business’s features on a listing. Make sure you avoid this because customers will expect it to be true and they will be inevitably disappointed that the real experience doesn’t match the hype. Instead, use the listing as a way to be true to the business’s brand and then exceeds those expectations when people actually walk through the doors. Maximize Your Efforts: Maintaining a strong reputation requires a dedication from all staff members. Each person needs to know that they are a crucial part of that establishment’s customer experience. This might require more training in providing a better customer experience, but it can pay off in the long run. You should also take time to know the audience. Narrowing potential customers down to a specific group can help you create a top-notch experience, which leads to rave reviews and more promoters. A defined audience and well-trained staff also allow you to set realistic goals for reputation management. Being aware of a team’s bandwidth and customer experience skills means that you can create reasonable targets for a business. It’s Never Too Late to Start: There isn’t a prime window for taking control of reputation management, and the sooner you make changes, the better. Customers are looking at reviews to find a reason why they should pick one business over another so make sure that you make reasonable changes and improvements in a reasonable amount of time. Any listing has compelling content can make a customer’s purchase decision easier, and it starts with improving a business’s reputation. Responding to reviews is a crucial part of managing TripAdvisor listings. Doing so tells customers that their opinions are vital and that you care about every piece of feedback regardless of its sentiment. Responding to reviews on TripAdvisor also shows prospective customer that you care about service—in fact 45 percent of consumers say they are more likely to visit a business that responds to its reviews. With review alerts from TripAdvisor, you can make sure you respond ASAP to customers. Step 1. Click on the “Reviews” tab in the top menu and then click on “Respond to reviews.” You’ll go to another page where you can see all the reviews for a listing. Step 2. Choose specific reviews by clicking on it on the left-hand sidebar. You can also search for reviews by different filters such as rating, date, and language. Step 3. Select your affiliation with the listing. This helps users know that you are actually a representative of the business and not some random person from the company that wrote a response. Step 4. Write your response in the text box provided. Make sure that you respond in a professional tone, but make sure that what you say doesn’t read like a cookie-cutter response. People want to know that their feedback was heard so take the time to thank them for their review before addressing their praise or concerns. Research shows that 69 percent of consumers consider reviews irrelevant three months after their publish date. This means that you need to constantly ask new customers for reviews. You can use a third-party review request platform or t TripAdvisor’s ownReview Express tool, which allows any listing to send an email that reminds customers to review the listing on TripAdvisor. You’ll need to collect email addresses from customers to use the tool. However, make sure that you get permission from customers to pass on their email details to TripAdvisor in order to use Review Express effectively. Tell customers how you’ll use their email address and tell them that you’ll be sending them a Review Express email in advance. This also means that you’ll need to get a record of their consent. Start using Review Express by going to its dedicated page on TripAdvisor. Type the name of the listing in the search bar, and then click on the “Use Review Express” button on the right side of the bar. You can also find a Review Express link on your Management Center home page. Step 1. Click the “Create Email” link on the top menu on Review Express. First-time users should see a default TripAdvisor template in their main language. Step 3. Click the “Continue to send” button to go to another page where you can add customer emails. You can type in each email address separately or upload a .CSV or .XLS spreadsheet that contains a maximum of 1,000 email addresses. Step 4. Click the three notices at the bottom of the page and then hit the “Send” button. Emails should arrive to customers within 24 hours. Each new set of reminder emails counts as a “campaign,” which you can track on the Review Express Dashboard. You’ll also see valuable metrics from each campaign such as the number of total opens, clicks, and reviews left by those who received a Review Express email. Accommodation listings can also get an extra add-on to Review Express called “Review Express + private surveys.” Past customers can use these optional surveys to send private feedback to the business and its staff. Remember: when setting up a Review Express campaign that you’ll be limited to 1,000 email addresses. There’s also no SMS review request functionality. TripAdvisor offers a suite of free widgets that you can use on a business’s third-party website to show off a TripAdvisor rating or encourage customers to leave reviews on the listing page. Review widgets can increase conversions on your site and provide social proof that your business is trusted by other consumers. You can check out the Widget Center to see which widgets are available for a listing. Step 1. Type in the business name in the search bar and choose the correct entry from the drop-down menu. Hotel, attraction, and restaurant listings will be directed to the “Widgets for your Website” page while destination listing will go to the “Promote your destination” page. Step 2. Choose the widget category you want to use and pick the design and size of the widget from the available options. Step 3. Copy the code from the “Your Code” box and paste it into the third-party site’s source code. You can also email the code link to the site’s manager who should add it to the website code. Each website can use up to 50 widgets. Most sites should use widgets that either show off reviews and ratings or encourage customers to write a review. Rated on TripAdvisor Badges: There are three variations of this widget, which shows a listing’s overall rating and review count. Review Snippet Widget: This displays the listing’s rating and snippets of recent reviews. Write-A-Review Widgets: These widgets encourage customers to review the business on the website. Rave Review Widgets: A “scrolling showcase,” that features your most recent rave review. Review Express and the free widgets mentioned above are free tools that every TripAdvisor listing should use as a way to get more reviews. However, TripAdvisor provides you with two more review generation tools through the Management Center. Custom Reminder Cards: You can implement TripAdvisor designs along with the name and location of your business on business cards to remind departing customers to leave a review on the listing. You can start the process by going to the “Marketing Tools” tab in the Management Center. Click “Promotional Tools” and then select the “Customize Yours” option under the “Write a Review” header. Choose a template that works best for the business and then “Click Started” to customize the card design. Your design is then sent to TripAdvisor for printing. The first 100 cards are free, but you will need to pay $6 – $10 for shipping. Click on “Marketing Tools” on the top menu of the Management Center. Select the “Promotional Tools” and find the “Download Now” link under the “Write a Review” flyer header. The flyer includes support for multiple languages. Should You Provide Incentives for More TripAdvisor Reviews? TripAdvisor’s official policy states that incentivized reviews “hinder the validity and accuracy of reviews.” So don’t do it. TripAdvisor defines an incentivized reviews as any reviews that come as a result of offer a raffle, discount, or special treatment in exchange for a review. TripAdvisor has a dedicated system and in-house team that flags and monitors suspicious reviews as well as other online channels for incentives and rewards programs for reviews. TripAdvisor users can also contact moderators and report incentivized reviews. If a listing gets caught incentivizing for reviews, the reviews marked as suspicious and confirmed to be incentivized will be removed. Furthermore, the listing itself will be ineligible to win any TripAdvisor awards. Additional penalties can range from a simple warning from TripAdvisor to a red badge on the listing that shows potential customers that the business violated TripAdvisor guidelines. The badge will also reduce the listing’s Popularity Ranking. Biased positive reviews (Review Boosting): Someone connected to the business attempts to post a positive review. Biased negative reviews (Review Vandalism): Someone deliberately submits a malicious review to discredit the business and lower its ranking on TripAdvisor. Paid reviews (Review Optimization): When a business (knowingly or unknowingly) hires a person or company to boost its TripAdvisor ranking. TripAdvisor easily finds these reviews due to a proprietary system built specifically to catch fake reviews. It looks at every review submitted and blocks those that violate the site’s guidelines. It also monitors suspicious reviewer patterns to determine if the reviews they leave are genuine or fake. Some TripAdvisor users might also blackmail businesses into meeting their demands in order to avoid a negative review. These so-called “Blackmail Threats” are also against TripAdvisor guidelines. Fortunately, you can report all four of these review types through the Management Center. Step 2. Go to the “Please tell us what the issue is” section and select the “Report fraud” option. Step 4. Fill out two more questions that ask if the review was already posted and if this is your first report of the incident. Step 5. Provide additional information about the violating user such as the month and year of their stay, email address, and their name. Step 6. Describe the event in the text space with as much detail as possible. Businesses cannot erase customer reviews. Have the customer go to their review and click the icon with three dots, which is located on the top-right corner of the review box. Select the “Delete” option and confirm it by press “Delete” again. The only free way within TripAdvisor to measure any metrics is through the Review Express sent to customers. Review Express data provides metrics for each email campaign, including the number of opens, clicks, and bounces for every email. For a more in-depth TripAdvisor analytics tool, you’ll need to subscribe to a review management tool or TripAdvisor’s Business Advantage, which offers the Analytics Suite. Publishing a listing and actively monitoring reviews are the first steps to effectively manage a TripAdvisor listing. However, there are other features included in the site that can further improve the listing including Calls to Action, integrations, and advertisements. Some businesses can add a yellow “Book Now” button on their listing page, which encourages customers to reserve a stay through TripAdvisor rather than going to another travel site to book a room. Within each listing, TripAdvisor shows rates on other hotel booking sites like Booking.com and Priceline, but you can also set your own rate on TripAdvisor. In addition to the button, there’s an ability to show live rates and overall availability on the listing page. It’s unclear as to which listing can get the button. The Instant Booking page features a “Check Eligibility” button where you can see if a listing can get the button. Those that do qualify can choose between two “Pay for Stays” commission plans. This means that you pay one of two commission percentages to TripAdvisor for every booking done through the “Book Now” button. 15% commission: You can capture half of all “Book on TripAdvisor” user views and the bookings from those views. 12% commission: You can capture a quarter of all “Book on TripAdvisor” user views and the bookings generated from those views. Maintain an overall rating of at least four out of five “bubbles” or stars. Obtain a minimum number of reviews (TripAdvisor doesn’t specify the actual number). Be listed on TripAdvisor for 12 months. Specifically, be listed on the site for the full qualifying period between April 1 of the current year and March 31 of the following year. TripAdvisor also uses an algorithm to look at any “content integrity issues, animal welfare policies, and/or fraudulent activity” connected to the listing. Recipients of the certificate are announced in late May every year. The Certificate of Excellence is only valid for one year so businesses will need to continue their high standard of service in order to get the award again for the following year. Listings that get the Certificate of Excellence for five years in a row enter TripAdvisor’s Certificate of Excellence Hall of Fame. The sole exception to these requirements are “Performances,” such as speciality shops, museums, or nature areas that are at one venue for at least 24 consecutive weeks. You can sign up as an attraction by following the same claiming process as hotels and restaurants through the TripAdvisor Owners page. 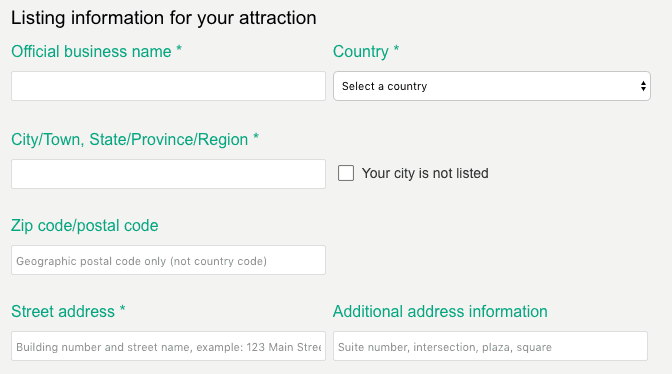 The only difference is that you select “Attractions” as the listing type. Every listing is part of a category, and users can see that business’s Popularity Ranking in a category. Listings rise and fall in these rankings as a result of reviews. Specifically, TripAdvisor combines a listing’s quality, recency, and quantity of reviews to determine a listing’s overall ranking. In other words, continue to get more rave reviews by providing high-quality service that’s worth noting by customers. You can further promote a business’s listing by getting a TripAdvisor sticker. You can post them in high-traffic areas so that customers are aware of your online presence. Stickers are free from TripAdvisor, but it will take up to six weeks to arrive by mail. Step 1. Go to the Sticker Request page and type in the name of the business listing. Select it from the drop-down menu. Step 2. Select one or multiple stickers for the business. You can also choose the language written on the stickers. Step 4. Hit the Submit button to finish your request. Prospective customers can engage with you before they visit with queries on a listing’s “Questions & Answers” section. Any TripAdvisor user can answer a question, but an answer from the business will show up as the top answer to any question. You can answer questions directly in the “Questions & Answers” section on the listing. However, you can also go through the Management Center. Select the listing page within “Your property overview” link on the right-hand side of the Management Center home page. Scroll down to the “Questions & Answers” section of the page and easily respond to user questions. Make sure that you give brief answers to user questions so that you don’t waste their time. You can also submit multiple answers to a single question but only use it to clarify previous statements. Businesses with a Facebook Page can use it to show off their presence on TripAdvisor. The Facebook TripAdvisor app will show off a listing’s name, images, and reviews. You can also use it to show off any awards linked to the TripAdvisor page. Step 1. Log into Facebook in your role as administrator of a business page. You’ll need the Facebook business login information for the app. (You’ll need to claim your Facebook page if you haven’t already done so). Step 3. You are then redirected back to Facebook, where you already logged in your page administrator role. If you manage multiple Pages you’ll see a dropdown menu that shows all of the Pages you manage. Select the business Page that will receive the widget. Step 4. Once you have installed the TripAdvisor Facebook widget to your business Facebook page, you can customize which sections of the app you would like to feature on your page by clicking on the “Customize” link in the top-right corner of the app. Advertising on TripAdvisor comes in two forms: Sponsored Placements (for accommodations) and TripAdvisor Ads (for restaurants). Sponsored Placements: Accommodation listings can use this package to advertise their listing in prominent places on TripAdvisor such as above search results, “high-profile shopping pages,” and even on the listings of local competitors. You only pay TripAdvisor for the ad when someone clicks on it, and you can set your own advertising budget or pick from three pre-determined pricing packages. Once you’re signed up, you can use the Sponsored Placements Performance Center dashboard to track your ad’s impressions (how many people saw the ad), conversions (how many people clicked on the ad), and your overall spending for each ad campaign. You can sign up by visiting the Sponsored Placements page and clicking on the “Get Started” button. TripAdvisor Ads: Restaurants can use this advertising option to promote their listing, which will appear at the top of search results. It also targets users who are searching for restaurants similar to yours based on factors like meal price and cuisine type. Similar to Sponsored Placements, you only pay for every click on a TripAdvisor Ad. You will need to set a monthly budget limit before starting, and money is taken out of it at the end of the month for every click you get (up to the budget limit). You can start the signup process by going to the TripAdvisor Ads page and clicking on the “Get Started” button. To round out this guide we added a few more things that will help you understand TripAdvisor’s influence and how you can get the most out of it. TripAdvisor features a plethora of listings and has a large presence around the world due in part to the many sites acquired by the company. Notable purchases include Flipkey in 2008, which specializes in vacation rental properties. It also acquired Jetsetter, a site that focuses on luxury travel. TripAdvisor made a major move into the restaurant space in 2014 when it acquired LaFourchette (The Fork), which is considered to be a rival to OpenTable, for $140 million. This acquisition came in the same year when it purchased Viator, a tour booking site, for $200 million, making 2014 quite the big year for TripAdvisor acquisitions—a cool $314 million. TripAdvisor built the Management Center to make it easy for listing managers to control their listings so it only makes sense that it’s also accessible through the TripAdvisor mobile app. Click the “Me” tab on the bottom-right corner of the screen and sign in with the same login details you use to access the Management Center on a standard web browser. Return to the “Me” tab and select “Management Center Home.” If you manage multiple listings, choose a specific business to view, which will then open the mobile Management Center. In an effort to personalize each user’s hotel search experience, TripAdvisor created “Just for You” in 2014. When a TripAdvisor searches for hotels, TripAdvisor will provide offer multiple tags that help narrow down their hotel preferences. This includes numerous factors or “tags” such as location, price range, amenities, and even brand loyalty. Choosing more filters allows TripAdvisor to better provide results that fit each user’s search parameters. “Just for You” will continue to work as a user adds more tags, searches for other hotels on the site, and writes reviews of the hotels they used in the past. What Happened to TripAdvisor City Guides? In the past, users could download the TripAdvisor City Guides app, which provided a bounty of information for travelers about specific cities. Features included the ability to see transit stations and create custom maps. The app was also available to use without an online connection. The app was shut down on August 2015. Some of the app’s features, most notably offline support, transferred to the main TripAdvisor app.